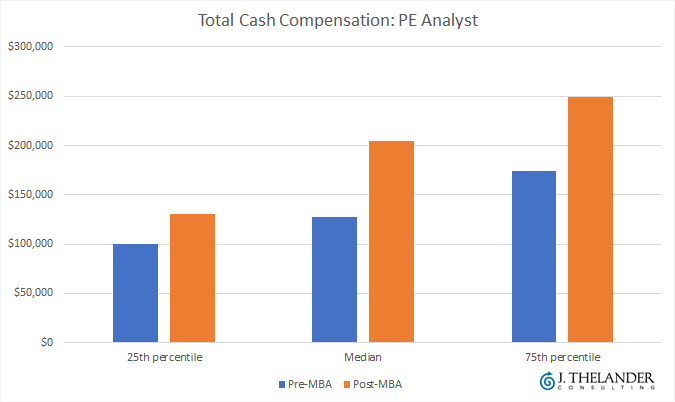 It's no surprise that VC and PE analysts are compensated more generously after they earn an MBA. But exactly how much more do analysts at investment firms really earn once they've graduated from business school? 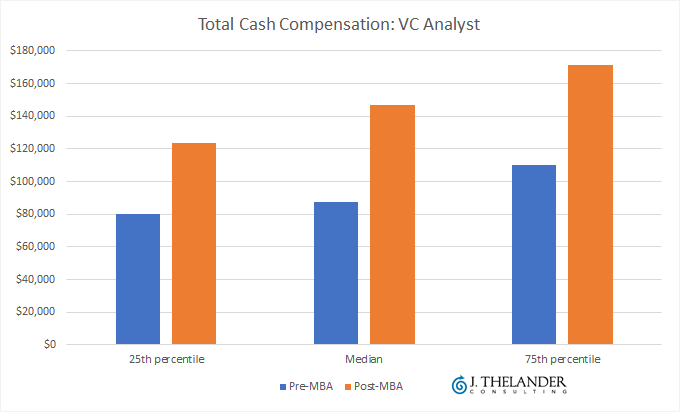 J. Thelander Consulting has the hard-to-find compensation data for analysts at both VC and PE firms, separated by pre-MBA and post-MBA employees. The data comes from surveys conducted by J. Thelander Consulting. "It's a competitive market for venture and private equity firms to recruit and retain pre- and post-MBA analysts," said Jody Thelander, founder and CEO of J. Thelander Consulting. "These jobs fill a valuable research role that assists with investment decision making. The cost of turnover is expensive so paying to market, combined with the compensation philosophy of the firm, is key." The 2017 Investment Firm Compensation Survey is open for participation now: CLICK HERE to participate; doing so will give you access to an overview of this year's results and a discount on the full report. Here's the link to the 2017 investment firm survey. For more content related to private company and investment firm compensation, check out other articles PitchBook has published with J. Thelander Consulting. And click here to contact J. Thelander Consulting directly.